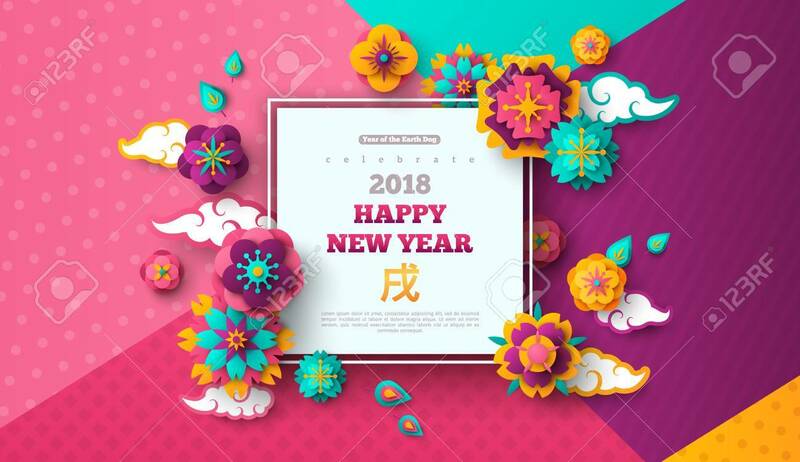 2018 Chinese New Year Greeting Card With Square Frame, Paper Cut Flowers And Asian Clouds On Modern Geometric Background . Vector Illustration. Hieroglyph Dog. Place For Your Text. Royalty Free Kliparty, Vektory A Ilustrace. Image 89106587. Reklamní fotografie - 2018 Chinese New Year Greeting Card with Square Frame, Paper cut Flowers and Asian Clouds on Modern Geometric Background . Vector illustration. Hieroglyph Dog. Place for your Text.